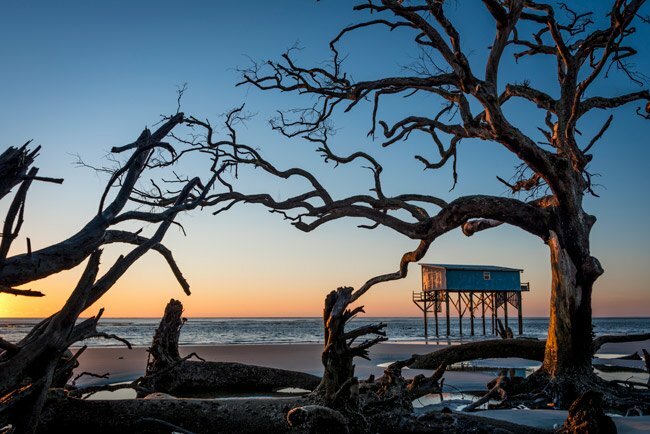 Where does the South Carolina Picture Project stand? I wanted to send a quick update – as well as a giant thank you – to everyone who has helped us keep the South Carolina Picture Project safe for another six months. In all we were able to raise $24,137, which was $4,489 more than our goal. More than 250 people contributed donations, including those from such faraway places as Texas, Indiana, and Washington state. Donations ranged in size from the tens to the thousands, and all were appreciated more than words can express. In a way, it wasn't so much the money that mattered but the growing realization that so many people believe in us and believe in our work. It has been a humbling experience to receive this outpouring of love and support, and it is an honor I don't think I'll ever forget. "It is not only the pictures and history that are so important on this site, but also the way we make connections with each other and learn from each other." "The Picture Project is my go-to source when I need a pick-me-up. It brings me so much joy. I have learned about so many wonderful places to explore, and I truly hope we can raise the funds to keep this amazing resource!" "I'm beyond excited for y'all and for us as well. I can't begin to tell you how much I enjoy the SC Picture Project. Having these photos and stories has been such a blessing. Y'all do a fantastic job!" What's next? Large and small sponsors ... plus a lawyer or CPA! Of course, now the hard works begins as we strive to find sponsors to keep the South Carolina Picture Project running long-term. With this too, we will need your help. The South Carolina Picture Project fills a void in our state, being the only resource dedicated to "living" or "citizen history." This unmatched collection of images and information, contributed by people across the state, grows daily. What separates us is that we are not just preserving the past, but we are also preserving the present for the future. "Little Blue" (shown above) on Hunting Island in Beaufort County is a case in point. This humble cabin, stranded at sea for nearly a decade, was torn down last month by the state. The little house held a special place in the hearts of many, and its entry in the South Carolina Picture Project allows us to preserve images of it, historical information about it, and perhaps most importantly, personal stories from those who knew and loved it. If you are a member of a South Carolina business or organization that would like to be part of the South Carolina Picture Project, please let us know. We would love to come meet you and show you our work and how it can benefit you. We have a deeply invested community with a terrific number of visitors, and we play an important roll in South Carolina – especially in the fields of tourism and education. Sponsoring the South Carolina Picture Project would allow you to be part of something tremendously positive and worthwhile in our state, so please reach out, no matter how big or small your group is. If we work together, we can save something special. Thank you all – again – for your time, love, and help! P.S. We are also looking for a lawyer or CPA who can help us file our non-profit paperwork. If you love the South Carolina Picture Project and could help us with a reduced rate, please let us know. Thank you so, so much! © 2019 SCIWAY.net, LLC. SCIWAY News is written by SCIWAY – with a lot of help from people throughout South Carolina. ISSN: 1537-3903.